In today’s connected world, cyber crime is becoming more common and more sophisticated. In fact, nearly half of all cyber attacks are being perpetrated against small businesses. Fortunately, as cyber crime has developed, so have cybersecurity measures to help you protect your business and safeguard your clients' financial information. One relatively new option that you may have heard about is cyber liability insurance. 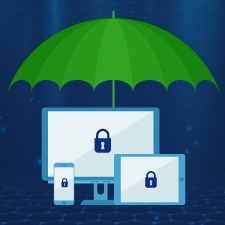 You may be wondering if this option is right for your business, so let’s take a closer look, starting with what cyber liability insurance covers. How can you safeguard your clients’ financial information? Subscribe to our blog to learn valuable information security tips! If your business were to fall victim to a phishing attack, it could cost tens of thousands of dollars for the credit monitoring costs alone. If you had a data breach? The cost would be staggering. According to the 2016 Cost of Data Breach Study by Ponemon Institute, the average breach costs about $221 per client to remedy. But with cyber liability insurance (also known as cyber risk insurance), you will have some level of protection against these cybersecurity risks. It may also include coverage for data theft by employees, as well as content liability, which protects anything associated with the content of your website, blog, or other web presence from copyright and other intellectual property lawsuits. In addition, some policies may include coverage of third-party breaches, such as the one perpetrated by the December 2016 Yahoo! breach. What it won’t cover. Cyber liability insurance is not general business liability insurance, which protects against physical threats to your office, such as property damage, physical injury, and fire damage. Also, it’s important to know that it does not include many important features that should be part of your overall information security program (e.g., hardware firewalls, antivirus and antispyware alerts, computer updates, data loss prevention monitoring, and laptop encryption). So, is cyber liability insurance right for your business? Depending on your situation, you may find that it’s well worth the cost, since even the most inexpensive policy can help negate cybersecurity risks that are out of your control. Here, it might help to think in terms of your car. No matter how skilled and cautious you are behind the wheel, there's always a chance that you may have to pay for someone else's driving mistake. It's the same with your business's data. Compromised information isn't always the result of an intentional crime: a personal laptop can be stolen, an employee can misplace an unencrypted flash drive, or you could accidentally send an unencrypted CD to a client's home. Of course, mistakes like these can be costly on many levels, but cyber liability insurance will help offset some of the financial burden. Given that all businesses are at risk of falling victim to cyber crime, especially with our heavy dependence on technology and third-party applications, there are clear benefits of having cyber liability insurance. Annual risk assessments can also help you decide whether you should purchase coverage. But, as with any business decision, there's the associated costs to consider. Create a written information security policy for your office and provide a copy to all employees. Develop an annual training program for your staff to review key security topics. Implement a password manager at your office to generate complex passwords and remind employees to change them regularly. Of course, no one can predict how technology—and threats to our information security—will progress in the next few years. But with a comprehensive strategy in place, including cyber liability insurance, you can help protect your business from the many cybersecurity threats facing financial advisors. You’ll also have peace of mind, knowing that if your business is ever affected by a cyber incident, you'll have someone on your side throughout the recovery process. Are you considering investing in cyber risk insurance? Do you currently have a policy for your business? Share your thoughts and experiences by commenting below. Editor's Note: This post was originally published in August 2014, but we've updated it to bring you more relevant and timely information.